Last month as you may remember I took a weeks holiday to Cornwall with Nik and Dexter. My mum lives down there still, so every year we take the 6-8 hour drive from Sheffield (depending on the weather and traffic) to visit here. 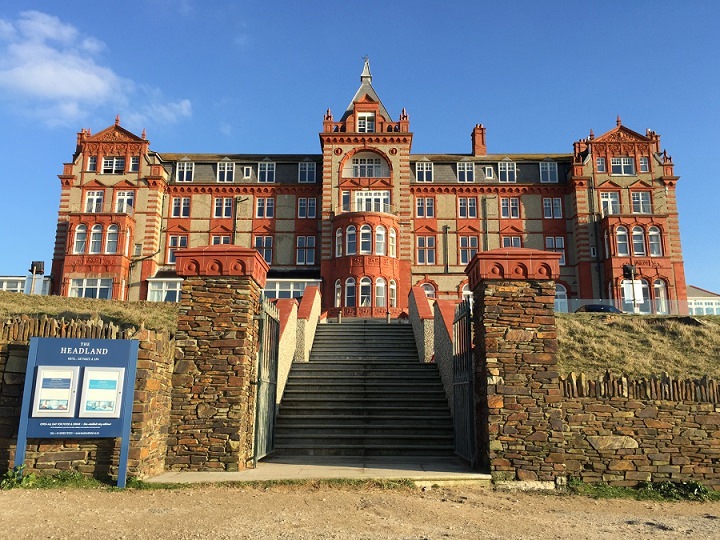 A few weeks before we went I had a lovely email from The Headland Hotel, asking if I would like to come and view the hotel, and stay the night. Normally I would have to say no to such an invite, but as we were going down anyway, I managed to co-ordinate our holiday with a visit, and I’m so glad we did. Nik is going to tell you more about our stay, but what I will say is that we really did had a lovely time. 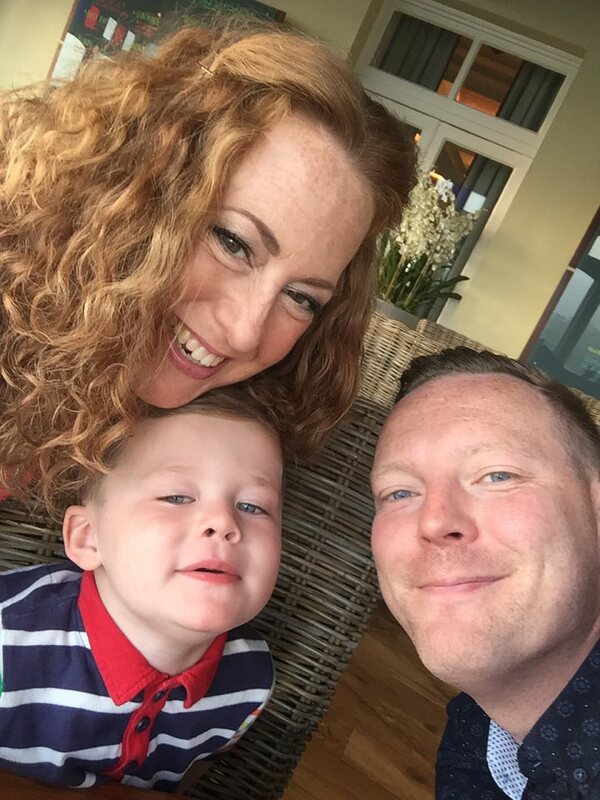 We were looked after so well, had a delicious dinner, Dexter had a good splash around in the pool, Nik had an amazing massage that really sorted his back out, I got some quite time with some amazing views and the staff really made it a fantastic stay. I would highly recommend the Headland, wether it be for your wedding, elopement, hen weekend, a mini moon or a family get away. I’ll pass you over to Nik…………. 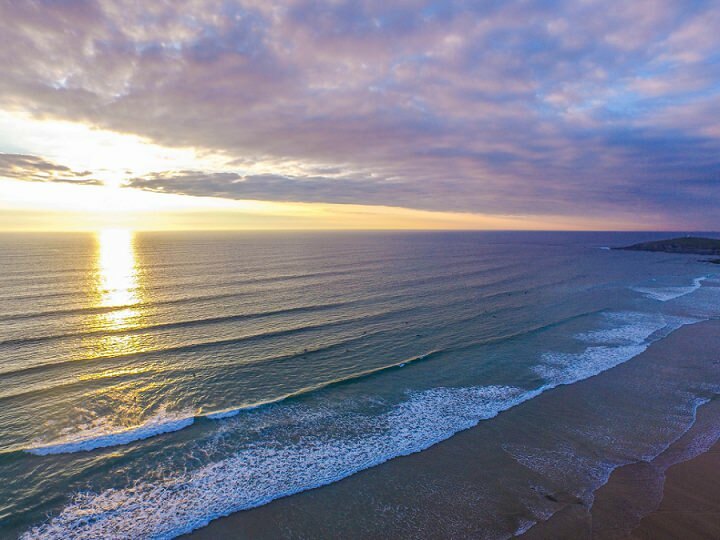 I would like to take you all the way to Newquay in Cornwall, UK. 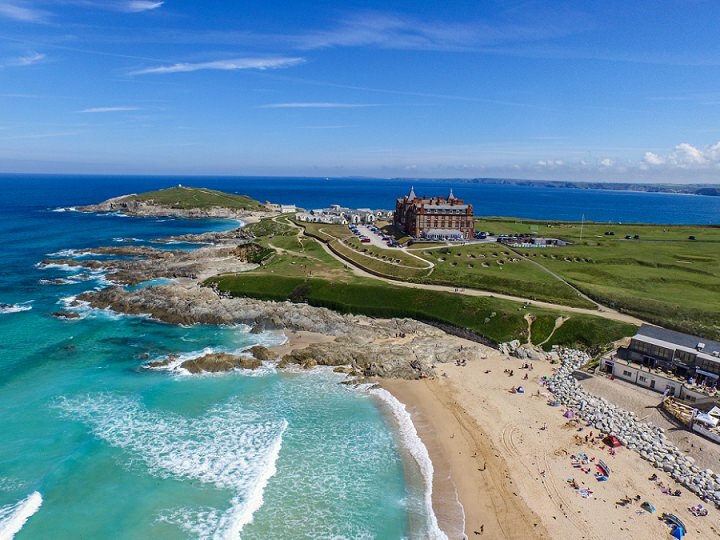 Cornwall is one of only 2 counties in the UK not to have a motorway (the other being Norfolk) and you can very easily leave all the stresses of such travel at the M5, some 70 miles north of Newquay. We managed to do this with some gusto as we coincided our stay with a week’s holiday in a lodge on the opposite side of Cornwall. The lodge, lovely though it was, amplified the sound of the rain – yes, it was a holiday in the UK in mid-September – and so having a mid-holiday holiday was the perfect antidote to this! 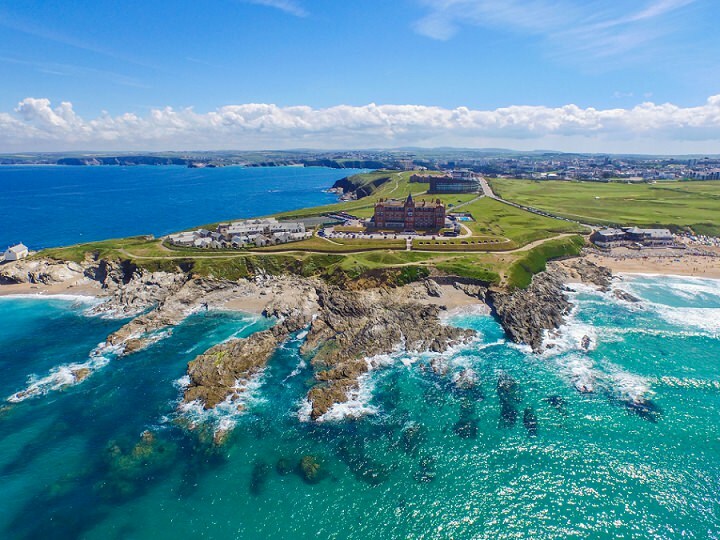 When you arrive through the vintage gates at The Headland Hotel, perched on the most amazing private cliff-top, affording views of the Atlantic Ocean and all this has to offer the senses, you could be forgiven for forgetting what the weather is doing! 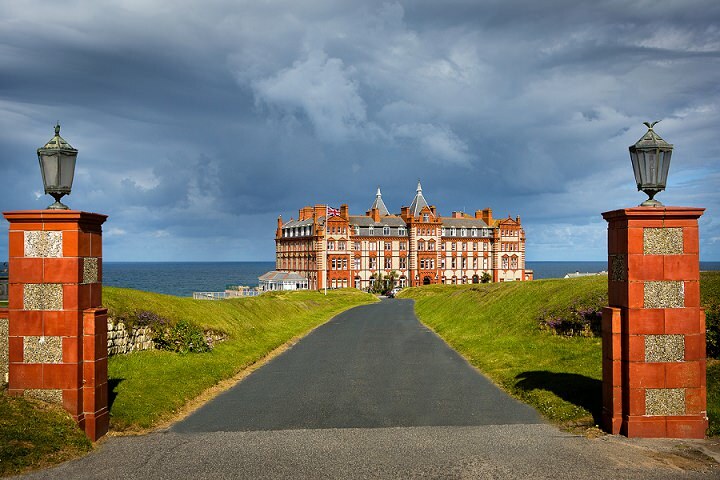 Whilst exposed on 3 sides to the elements, the grandeur of The Headland Hotel and its Victorian Heritage not only transport you to a bygone era externally, makes you feel very much at home on the inside. 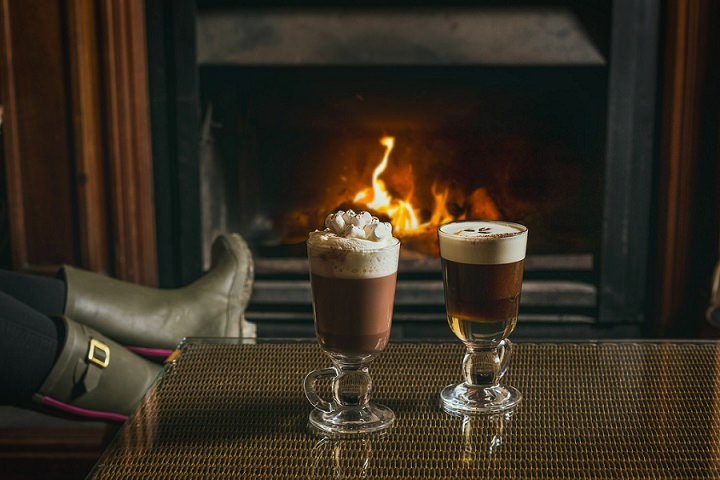 The grand entrance has a real fire roaring when you arrive to be greeted by fantastically attentive staff – all on hand to make your arrival as comfortable and stress-free as possibly. When we checked in with a very excited 3 year old, we were given a lovely Pirate themed Party Box for Dexter as a welcome gift, which is a lovely touch and really started our stay off perfectly. Not to mention the Salted Caramel Cornish fudge for Kelly and I! 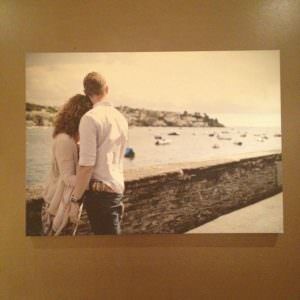 There are nods to the heritage of the hotel with pictures showing Royal visits and those of local and not-so-local dignitaries for the last 100 plus years. 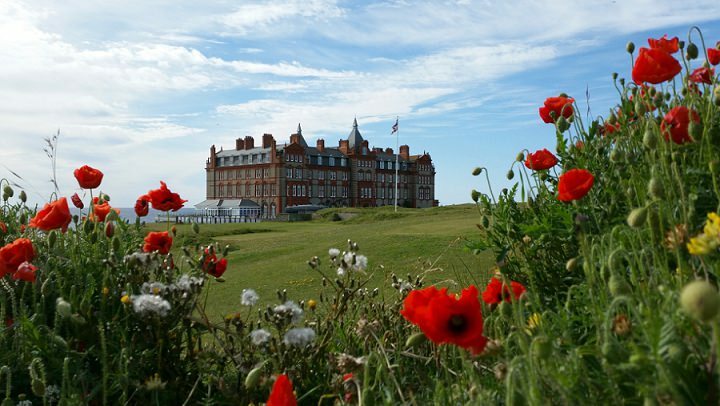 For the movies buffs of you out there, this hotel was used in an adaptation of Roald Dahl’s The Witches, starring Anjelica Huston – if it is good enough for Hollywood, it is good enough for me! As you can imagine, the grand entrance hall leads to a beautiful sweeping staircase – ideal for some great photographs during your ceremony or reception. The focal point of this room is the full width and double height windows capitalizing on the most amazing views over the ocean. The high ceilings make this room feel luxuriously spacious. On the day we arrived, the wind was playing its part in generating some of the best waves I have seen in a long time and the bluish grey skies were fantastic! This area can be used for a large wedding and can be split in to various room sizes to accommodate guests up to 250. 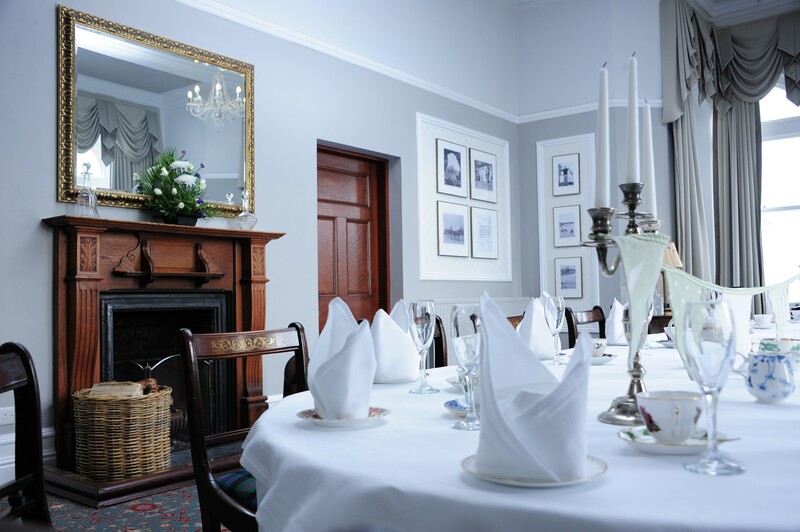 The ceremony can be held in this area with the wedding breakfast served in the Samphire Restaurant. 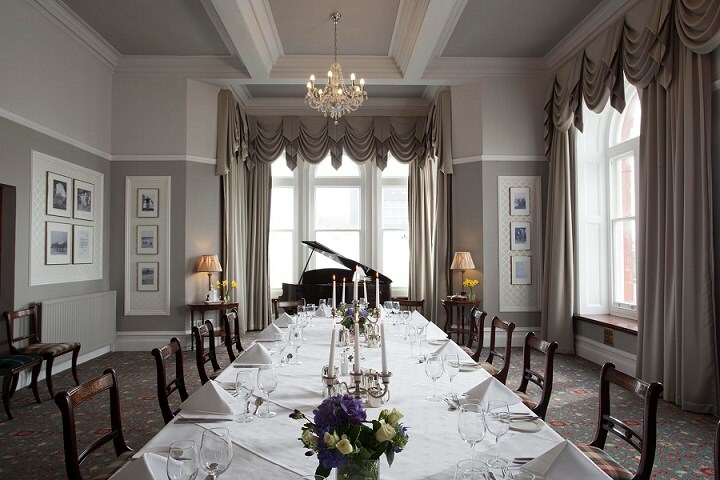 As this restaurant is on the same level as the wedding suite, the views are continued through those same windows and offer a backdrop, the like of which you would be lucky to find anywhere else in the UK. 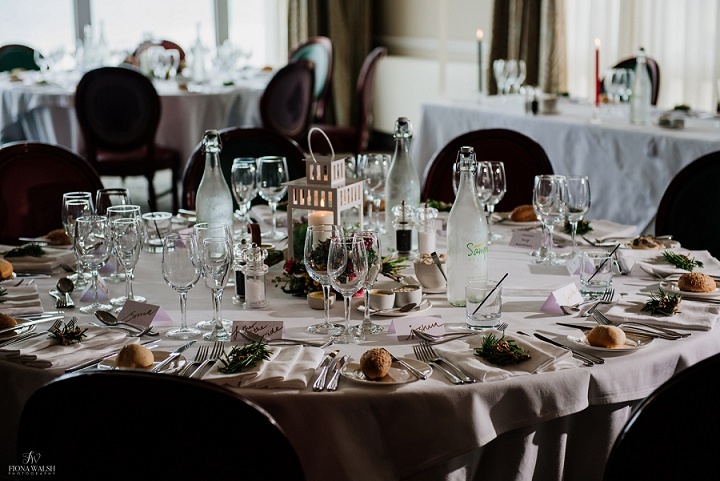 Coupled with these breath-taking views is the equally exquisite menu, sourcing the finest Cornish produce for you and your guests with sample menus including Cornish Lamb Saddle, Cornish Slow Roast Beef Fillet or Seabass to choose from. 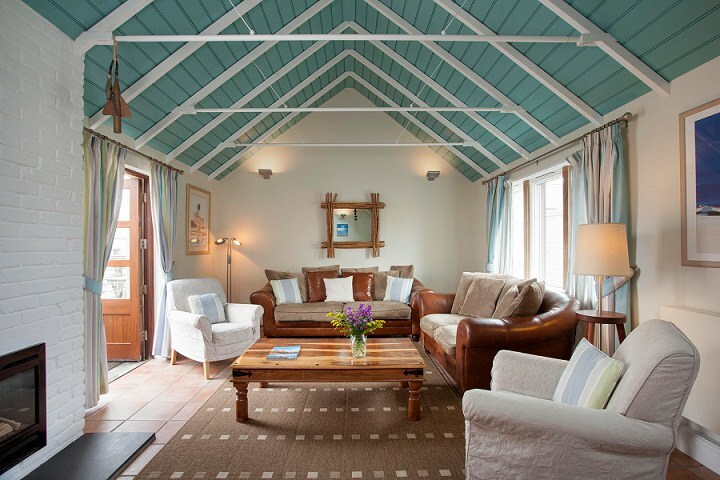 There are also a collection of smaller rooms for differnt guest sizes, so if you are holding a more intimate wedding then these would be perfect for you. We ate in the more relaxed restaurant, The Terrace, as Dexter can be a little loud at dinner, and we didn’t want to ruin everyone elses fine dining experience! 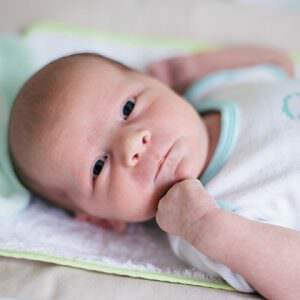 The food was wonderful, perfect for a chilled family diner. 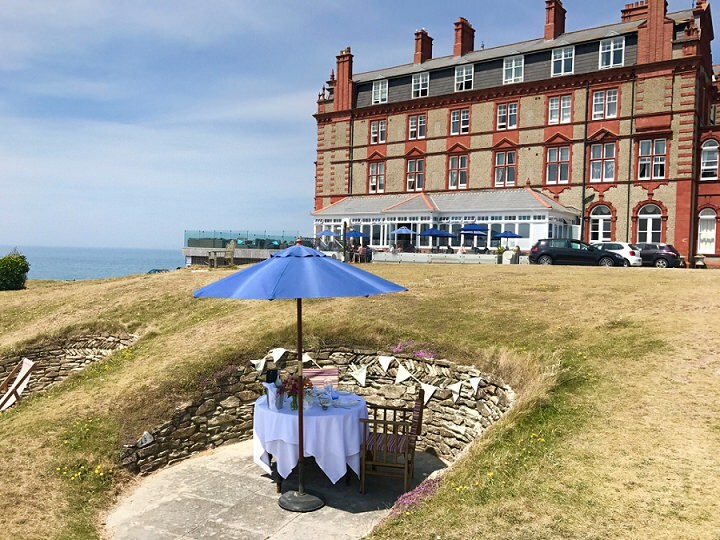 The Headland Hotel has a wonderful outdoor area perfect for those pre and after ceremony drinks for all your guests and choosing this venue just for its location would be enough. 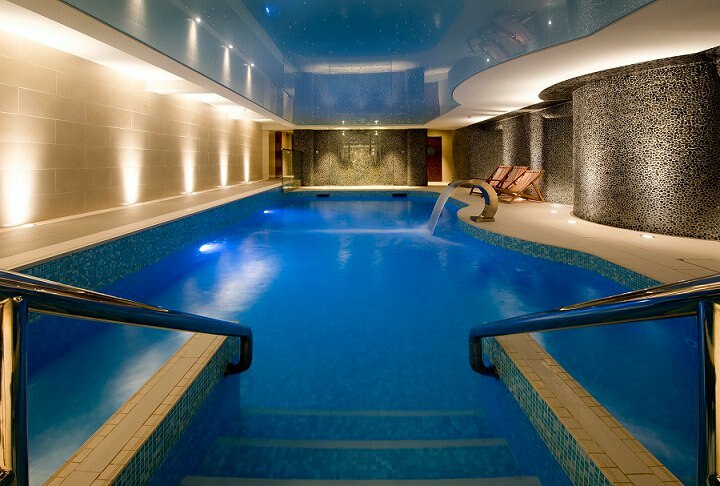 However, with The Headland Spa, there is access to the lap of luxury right here in the hotel. Whether you are looking to relax in the sauna, steam room, Jacuzzi and Pool or indulge in one of the many treatments on offer. 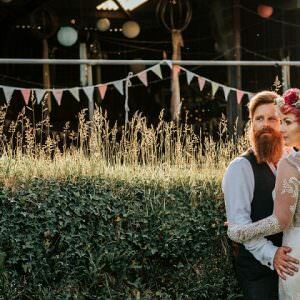 From the Ultimate Experience for Two to individually designed personal pampering sessions, what more can you ask for as part of your special wedding event. 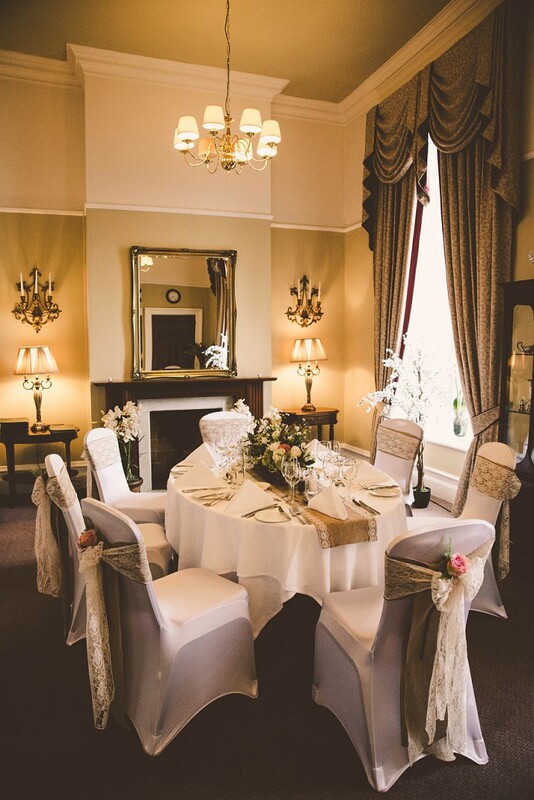 The Headland Hotel is licensed to host Civil Ceremonies so whether you are planning an intimate elopement, a small ceremony with your closest loved ones or a large event with all your friends and family, your memories can be made in this unforgettable venue. 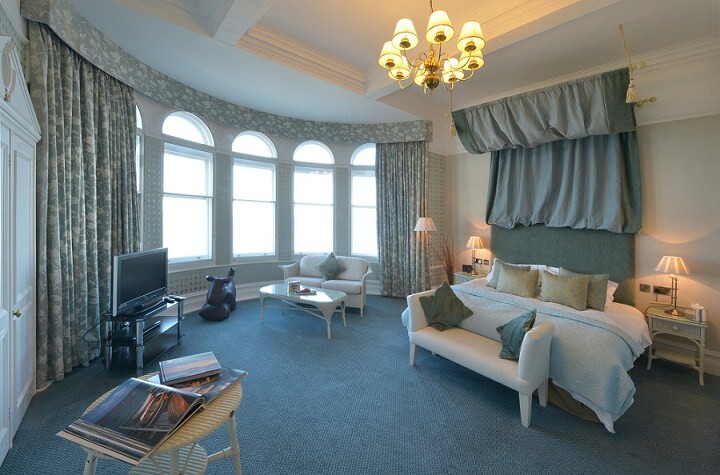 The Headland Hotel really does offer the perfect options for all your needs. 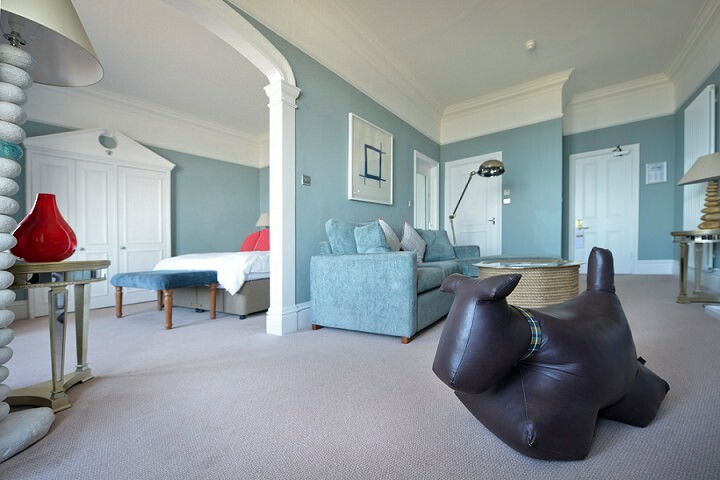 When it is time to rest those weary heads, the rooms are the perfect blend of contemporary luxury that you could hope to stay in. 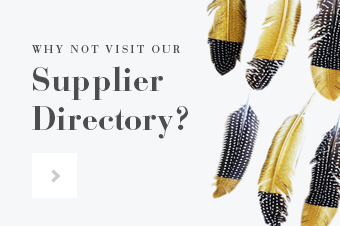 There are so many room choices with 96 4* hotel rooms and suites as well as 39 5* self-catering cottages – why not extend your stay with friends and family? 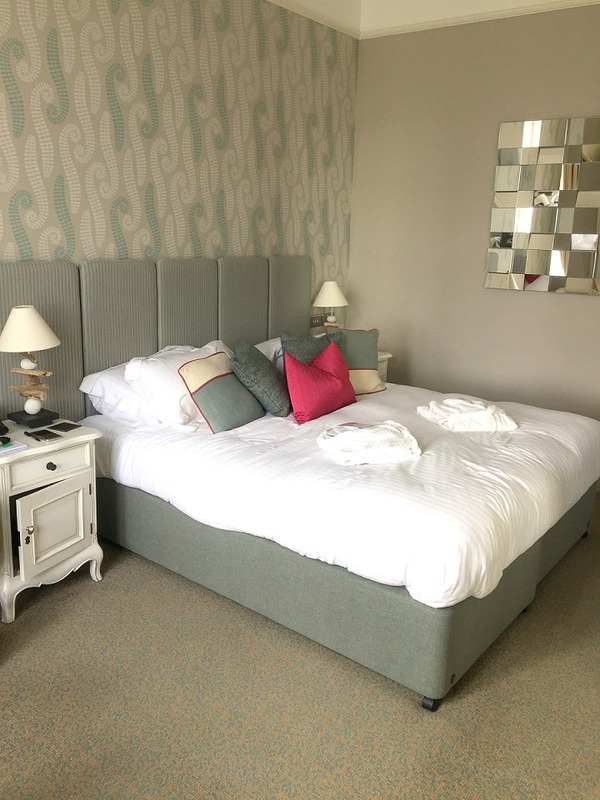 As part of your booking, the Bride and Groom will enjoy a complimentary room on the night of the wedding and there are 7 rooms available at reduced rates available guests with either Courtyard or Ocean Views. Looks a fabulous place. The roaring log fire sounds very inviting. Nice Stay, especially the place you choosen. We Loved it.